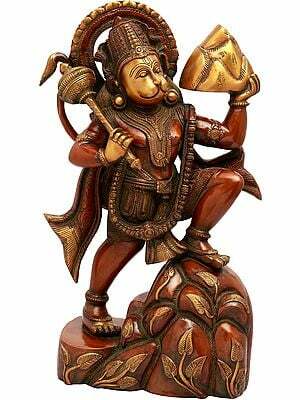 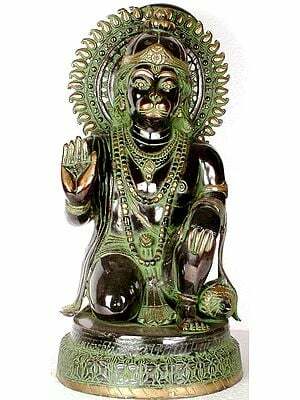 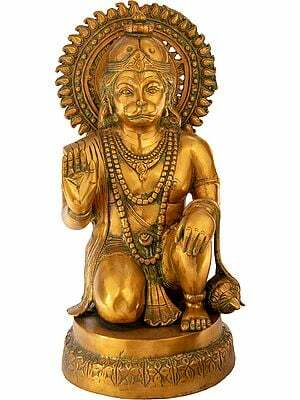 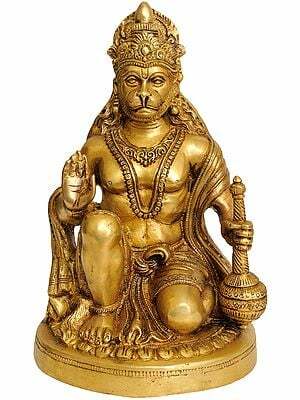 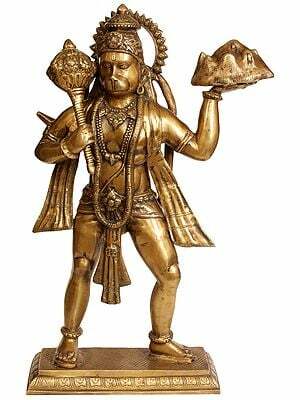 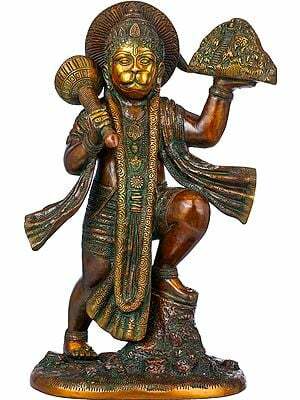 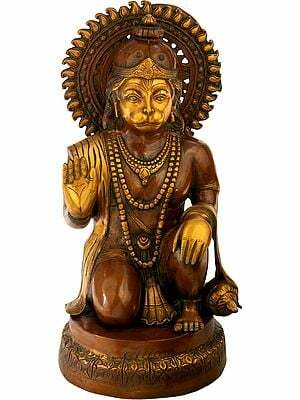 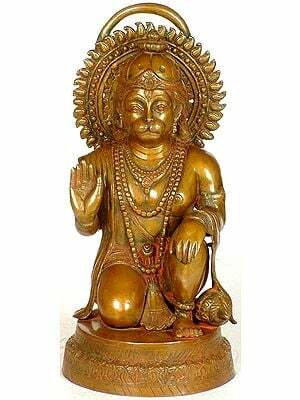 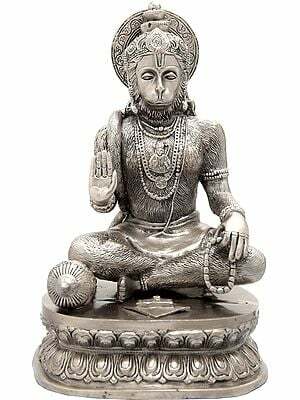 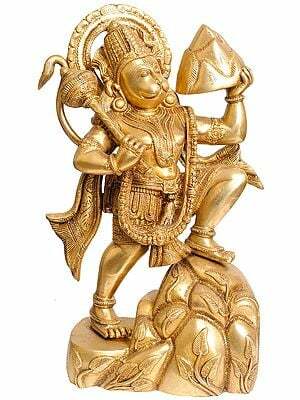 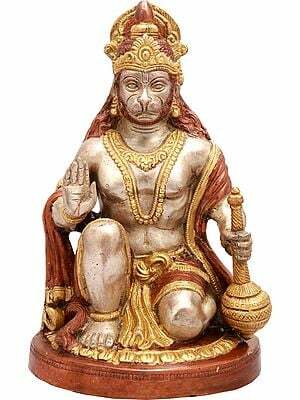 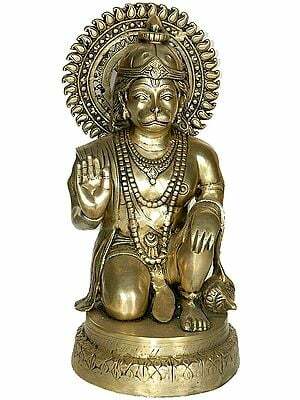 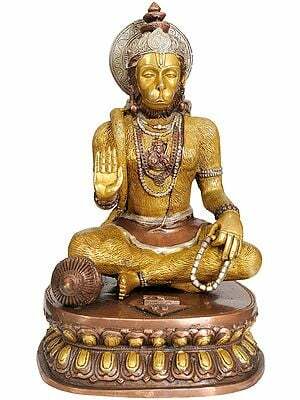 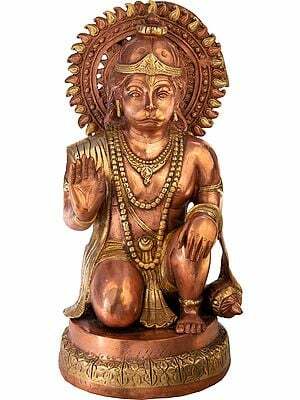 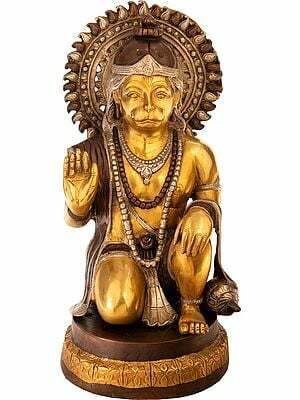 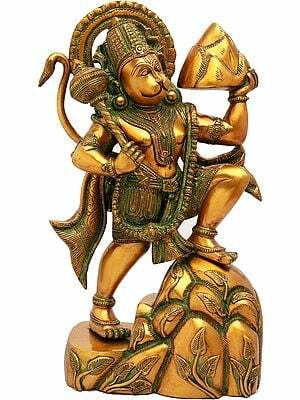 Sri Hanuman is one of the most widely revered gods of the Hindu pantheon. 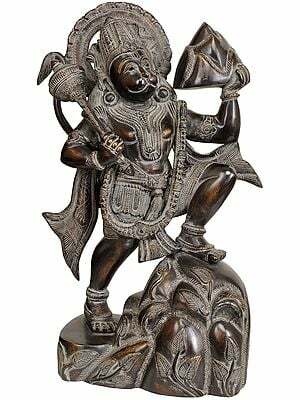 This imposing, bejewelled statue of the Lord captures His divine appeal to perfection: the resplendence of all three loks pours forth from the skin, while His muscles give away His superhuman strength. 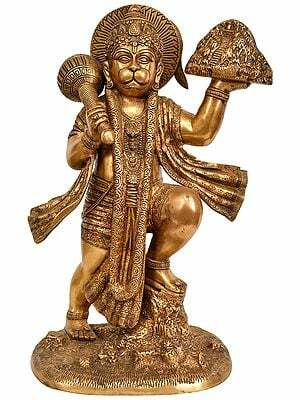 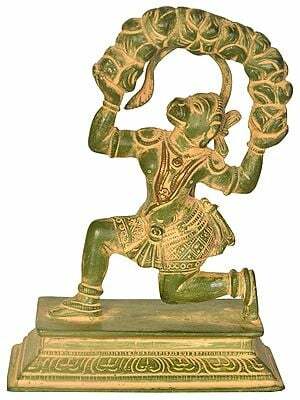 The clenched fist, the parting of His legs, and the angle of His mace - without which His iconography is incomplete - are indicative of His propensity to attack the adharmee. 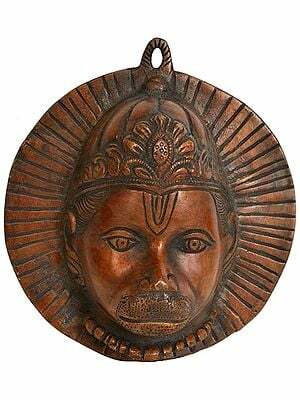 He has a calm, yet fiercely determined composure of countenance, His gaze directed straight ahead of Himself. 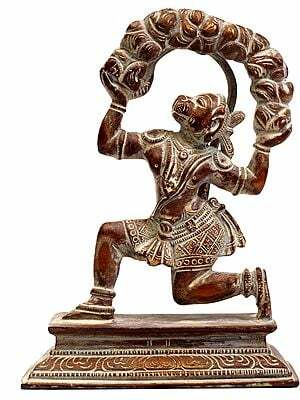 His tail flourishes behind Him, its end risen all the way to His broad shoulders. 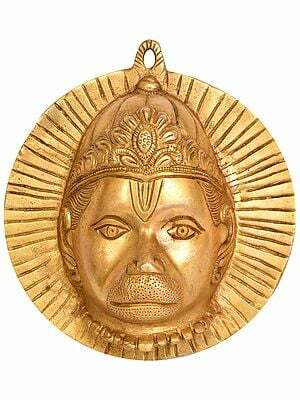 The glory of His halo is equivalent to the sun itself. 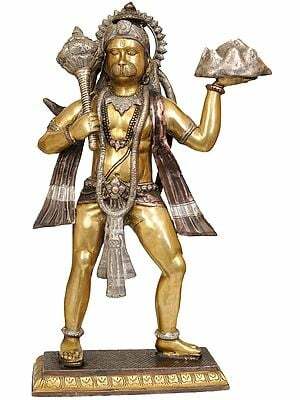 Note how His silver garment falls down His stature in a singular, lifelike manner.